The city of Trieste is located in north-eastern Italy on the border with Slovenia. 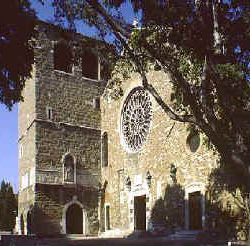 The cathedral is located at Piazza della Cattedrale, 2. Here is buried the Infante Juan of Spain, conde de Montizon, husband of Princess Marie Beatrix and son-in-law of Queen Mary III and II.